Sports injury law is a niche area of personal injury law that is often overlooked, however, if you have sustained an injury whilst enjoying the sport you love, you may be entitled to claim compensation. 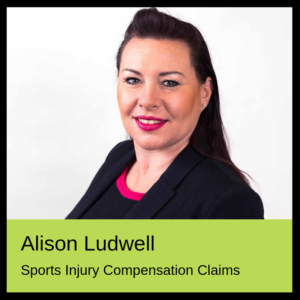 Gone are the days where sports injuries are considered “part and parcel of the game” and if you have been hit off the ball, the victim of a dangerous tackle or a punch, you may be entitled to compensation. Examples of incidents that may allow you to bring a claim are if you are assaulted by another player in an off-ball incident or are punched in the face following a tackle, a pass or drop goal and suffer a broken jaw this should never be considered “part and parcel of the game”. Why should you lose out financially through no fault of your own? It is not part of the game and never has been – that’s why following such incidents a red card and an early bath is in order – but if you are unable to play or to work for a number of months as a result of the injury, who is going to pay your mortgage? The player sat in the early bath? Unlikely… Why should you lose out financially through no fault of your own? In an instance like this we would attempt to recover an award of compensation from the club of the player who assaulted you; this substantially increases the chance of receiving payment of any settlement or court order for payment. uneven playing surface such as a defect in an astroturf surface causing a trip or fall. Sporting injuries can be severe and go way beyond a sprained ankle or a bloodied nose; regardless of your injury and how it happened, you should make enquiries to see if you can bring a claim. So get in touch with us today and get your claim started. We will look to make recovery for any injury you have sustained as a result of the incident as well as any financial losses that may arise. the cost of any travel incurred as a result of hospital visits etc as well as any transport costs if the injury prevents you from driving. Your claim can be dealt with on a ‘No Win – No Fee’ basis, this means that if your claim fails you won’t have to pay us a penny for the work we have done on your behalf.